We Did It! 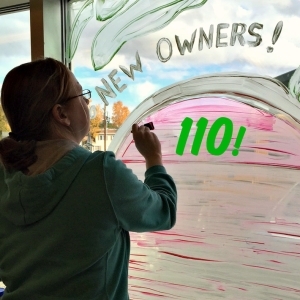 110 New Owners! We reached our Ownership Drive goal of 110 new Owners during the first week of September – just before Labor Day and the en d of summer. And we’re already putting the new equity we raised to good use. Look around the store next time you come in, and you’ll find lots of improvements. We’ve brought in lots of new products, including kitchen gadgets & accessories and a greatly expanded selection of Hispanic foods. We’ve got new shelving in the Bulk Foods department that allows our buyer to work more efficiently as she’s stocking the bins. Thank you for investing in Co-op Market!